There’s absolutely no doubt that travelling is awesome, but bags that are packed too heavily, not packing enough of the things that you need, or having the wrong type of luggage can all lead to avoidable problems both at the airport and your destination. The last thing that you need is to be charged for putting cabin luggage in the hold because it’s overweight, or arriving at your destination to find that you’re not quite as prepared as you thought you were. Even worse, finding your broken luggage coming back on the conveyor belt at arrivals can put a dampener on your whole trip. With that in mind, here are some top tips on how to pack like a pro to ensure that no luggage related problems mess up your holiday. If you’re travelling for a long time or have a lot of different little trips planned, investing in good suitcases is an absolute must. Although it might be tempting to go for cheap cases that you can buy in plenty of budget shops, you’ll find these won’t last that long and after just a couple of trips you’ll need to purchase a new one, something that will cost you more than you expect over time if you’re travelling a lot. Even worse, cheap quality bags are more likely to be damaged, which could be costly if you’re storing any valuables in them such as your DSLR camera or your laptop. Although good quality cases may cost more initially, they are definitely worth the investment. 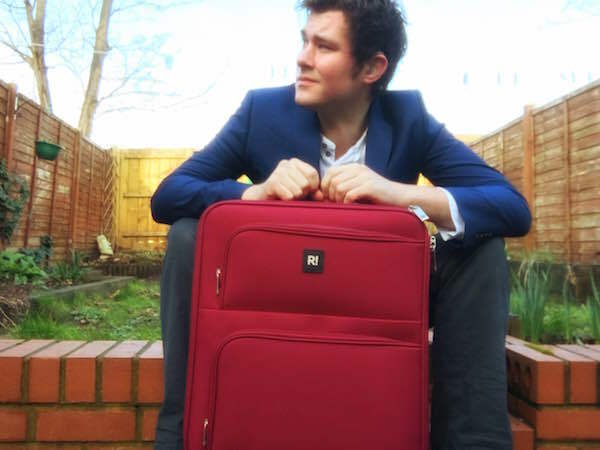 See globalluggage.co.uk for more information. Planning ahead for your trip is key to packing like a pro. If you leave all of your packing to right before you leave, chances are you’re going to be in a rush and forget some crucial items, which could cause problems for you later on especially if you’re taking a long trip. Get weather reports for the area that you’re planning to visit and look up average temperatures for the time of year in order to best gauge the kind of clothing that you should be looking to pack. Then, write a list of everything that you think you’ll need to take, and go over it a couple of times afterward to trim it down. If you’re packing everything that you are taking tightly into one case, it’s important to know how best to avoid damage. Rolling your clothes, rather than folding them, can be a much better way to pack them as they will come out free of wrinkles and it’ll also create extra room for you to pack more. If you’re packing shoes in the same bag as your clothes, place them in protective bags – or use a shower cap – to keep your clothes dirt and germ free. Lastly, don’t forget to secure any liquid items – there’s nothing worse than opening a suitcase to find that a bottle of shampoo has leaked all over everything inside. With these packing tips, luggage issues will be a thing of the past as you’ll be packing like a pro in no time! Great tips! I’m an absolutely terrible packer. When I went on my stag weekend last weekend I was packing my clothes and pretty much just threw them in. My dad had just arrived to pick me up and just laughed, sorting it out for me (I’m 29 and have my own home, I should probably know how to do something without my dad being involved ha). My mindset was that they’d just need ironing when we got to the hotel anyway, so what was the point in making it all look neat and tidy? But I must admit that it felt far less chaotic when I came to open it back up. Rolling your clothes is something I’ve started doing too, but more when I’m at home. When I’m putting clothes away in drawers it’s really amazing how much more you can fit in there when you roll. I’m not sure about them being free of wrinkles though as they always seem creased to me, but maybe I’m just doing it wrong. Oh, and I also forgot my toothpaste before the stag weekend. So, yep, planning ahead is crucial! After reading your post, I can now pack like a pro! I will definitely bear all of these tips in mind, Rexy.